Sputnik's correspondent was told by a Canadian Foreign Affairs Ministry spokesman that the news agency was being denied accreditation to Monday's meeting because it "hasn't been cordial" with Canadian Minister of Foreign Affairs Chrystia Freeland. The spokesman did not clarify exactly what he meant. 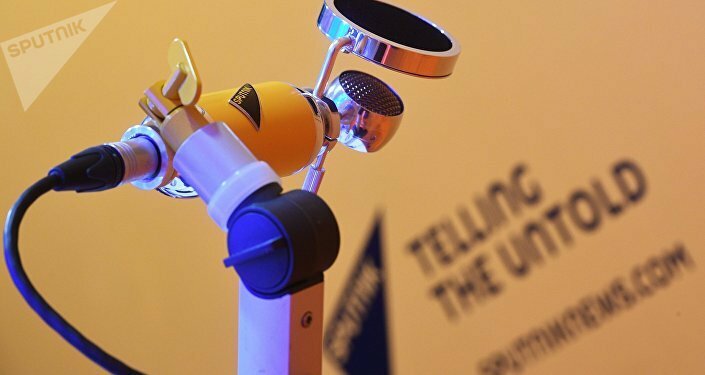 Asked to comment, Paul Dobson, an editor at independent Venezuela-focused English-language news platform Venezuelanalysis.com, told Sputnik that the refusal to grant media outlets press accreditation to the Lima Group's meetings helped show their "real nature." "The objective of the Lima Group is to be on the winning side should Venezuela's extensive oil reserves be opened up by the US, with a significant prize expected for each member," Dobson explained. "However, we have seen that the behaviour of the group — including the restriction of a number of press outlets to their most recent meeting and their bloc recognition of unelected coup monger Juan Guaido — clearly contradicts their discourse of 'democracy' and 'liberty' and only exposes the real nature of the body," he added. According to Dobson, the multilateral body was "clearly being used by Washington to enforce their regime change policies here in Latin America, replacing previous bodies which promoted integration based on respect and self-determination such as UNASUR," an intergovernmental regional organization formed in 2008 aimed at integrating South America through development. For his part, John Turmel, an independent Canadian politician and activist, said that as a candidate being excluded from a federal byelection debate for a York-Simcoe seat, he could "attest that censorship is now part of the Canadian political scene." "A few years ago, the Supreme Court of Canada ruled in my case that media may now exclude anyone they want. Their excuse to exclude me from the 'all candidates debate' (they cannot accommodate a seventh chair) is as lame as their excuse to exclude you (your news channel hasn't been cordial to the minister). Har har har," Turmel noted, adding that "people who can't take the heat resort to censorship." Saying he was "ashamed of Canada" over the move to bar Sputnik from Monday's conference in Ottawa, Turmel said he expected nothing less from Prime Minister Justin Trudeau. "It's not the first time his weakness has shamed us on the international stage. Hope Canada is shamed enough they don't do it again," he concluded. Together with Sputnik and RIA Novosti, Latin American English-language news channel Telesur was also denied access to Monday's meeting. Ottawa hosted the Lima Group countries on Monday for an emergency meeting on Venezuela. Speaking at the meeting, Prime Minister Trudeau welcomed Venezuelan opposition leader Juan Guaido's representative to Canada, saying he looked "forward to working with him on restoring democracy in Venezuela." The political crisis in Venezuela escalated last month after Guaido, leader of Venezuela's semi-defunct National Assembly, proclaimed himself interim president after a phone call with US Vice-President Mike Pence. 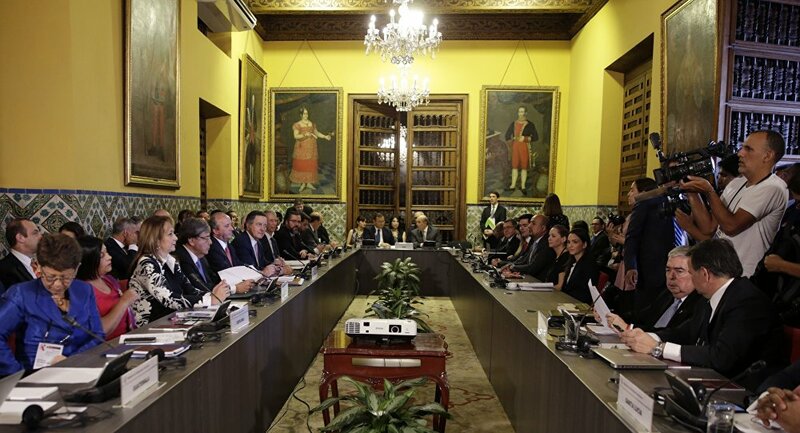 The US, Canada, and several Latin American and European countries voiced their support for the attempted coup, while Russia, China, Mexico, Cuba, Bolivia, Nicaragua, Iran and Turkey backed President Maduro and urged outside powers not to meddle in Venezuela's affairs.